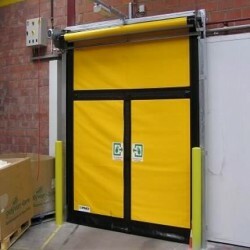 The Dynaco Egress option is available on many M2 and SLIMLINE doors. The Egress option allows for quick escape in the event of an emergency by simply pushing on the door in the marked location. 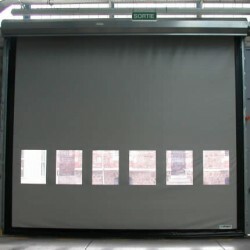 There are no controls to operate, no power is necessary, and no special training is required to operate the door. Maximum width of 13.2 ft.